• Over 1,700 in-depth entries from A to Z, containing information on the beliefs, practices, and history of Zen Buddhism as well as its most significant movements, organizations, and personalities. • Complete with black-and-white photos throughout that illustrate the many aspects of Zen Buddhist culture and religion, including temples, relics, artifacts, and the ceremonial objects used by practitioners. • Thoroughly cross-referenced entries guide the reader to related terms and concepts. • 8 1?2" x 11"
• Copyright 2002 Zen Buddhism is one of the most important and influential world religions. Its unique forms of artistic, philosophical, and spiritual practices, including meditation, haiku, and calligraphy, have spread throughout the world. 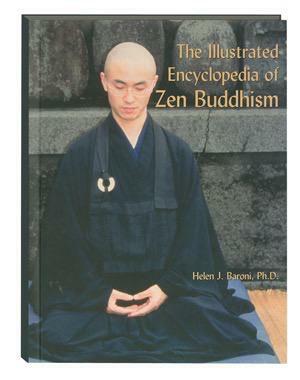 Written in a clear and accessible style, The Illustrated Encyclopedia of Zen Buddhism introduces readers to this vital and influential tradition. Helen J. Baroni, Ph.D., is an associate professor in the department of religion at the University of Hawaii at Manoa. She received a bachelor of arts from Grinnell College in 1981, a master's degree in divinity from the Princeton Theological Seminary in 1984, and both a master's degree (1990) and a doctorate degree (1993) in philosophy from Columbia University. From 1990 to 1991, Dr. Baroni was a visiting research fellow at the International Research Institute for Zen Buddhism of Hanazozo College in Kyoto, Japan. She was awarded a Japan Foundation Dissertation Fellowship in 1990, a Weatherhead Fellowship in 1992, and a grant from the Harvard Pluralism Project in 1998. Dr. Baroni has published a number of journal articles on Japanese religions. She is also the author of Obaku Zen: The Emergence of the Third Sect of Zen in Tokugawa, Japan, published by the University of Hawaii Press (2000).